littleBits are electronic building blocks with over 60 modules and trillions of combinations. With littleBits, anyone can harness the power of electronics, microcontrollers, and the cloud–regardless of age, gender, technical ability, or educational background. You can combine these simple, snap-together, magnetic bricks to make simple electronic circuits, or build robots and devices that combine sensors, microcontrollers, and cloud connectivity. 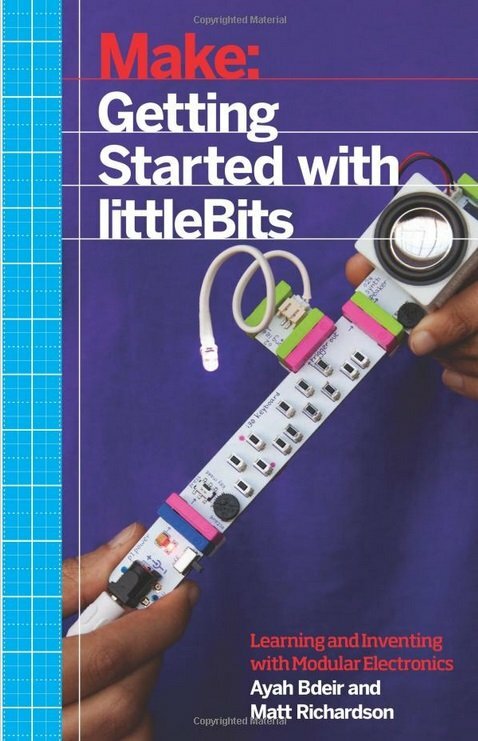 This book, co-authored by littleBits founder Ayah Bdeir, along with top-selling author Matt Richardson (Getting Started with Raspberry Pi), teaches you just enough electronics to start making things with littleBits and takes you on up through connecting littleBits to the cloud and programming with its Arduino-compatible module.